IBF Cruiserweight World Champion Murat "Iron" Gassiev shared his thoughts from training camp in Big Bear, Calif., as fight week nears for his World Boxing Super Series quarter-final showdown Saturday, October 21 against Krzysztof Wlodarczyk from Prudential Center in Newark, N.J and on AUDIENCE Network. Gassiev first arrived to train in the U.S. in 2014 and has worked with the renowned Abel Sanchez, eventually capturing his title with a victory over Denis Lebedev in December 2016. "Abel is an amazing guy and he has pushed me very hard in the gym," said Gassiev. "He's really a father figure here in the gym. I have so much respect for him and the way that he treats people. The best thing that I ever did was come here to train with Abel Sanchez. "We have very hard and intense training, but this is not ballet. He's preparing me for battle and I trust that he knows exactly what we need to do to have success." "There are no world champions in my gym," said Sanchez. "Your belts stay at home. My gym is just a place to work and get better. I can already see the improvements in this training camp for Gassiev. He had Lebedev down but didn't finish him. Moments like that, you have to finish the job." The 23-year-old from Vladikavkaz, Russia had a winding road to success in the squared circle, but quickly embraced the sport upon picking it up at 15-years-old. "Boxing was actually not my first sport," said Gassiev. "My city has produced lots of Olympic and world champion wrestlers, so that was my first sport. Then I tried soccer, but that wasn't quite right either. One day I went to a boxing gym with my friend and right away I knew, this was what I needed. Eight years later, and I'm very happy where I am." Gassiev has trained alongside the likes of middleweight champion Gennady Golovkin up in the unique atmosphere and altitude of Big Bear. "It's very important to be in a place like this because the only focus is training," said Gassiev. "This is what we do all day. This is exactly what I need to be at my best and win this tournament. I don't see my family for a long time, but it's part of my life. This is my business and I'm doing all of this for my family. "We have a very diverse group of fighters here in Big Bear. We're all family and support each other. It's been a great experience for me and I've learned a lot about different cultures. "Some guys who come in for sparring in Big Bear really don't anticipate how the altitude changes things. They think they can fight 10 rounds, but after three it is too much. This is the best place to prepare for tough fights." "This has been a really smooth camp," said Sanchez. "I haven't had any more problems with sparring partners vanishing after a couple days in the ring with Gassiev. We have the tools to make him even better than in his last performance." The winner of the Gassiev vs. Wlodarczyk fight will meet WBA champion Yunier Dorticos in a unification showdown in the WBSS semi-finals. However, Gassiev knows he cannot look past the two-time champion standing in his way in the quarter-finals. "I know that I have to prepare myself for a tough fight," said Gassiev. "I'm facing an experienced fighter and it'll be a great test for my career. I'm ready for this. "I have worked hard in this sport to become a world champion. I believed in myself and in my team. This tournament gives me the opportunity to be a unified champion and to fight the best fighters to prove it. I will show everyone who I am." "This tournament is a peculiar beast and there are no second chances," said Sanchez. "I've always hoped for a great tournament where each fight is tougher than the last. I have big respect for Wlodarczyk and his trainer, but Gassiev has to knock him out if the chance arrives. I'm expecting this to be another great experience for Gassiev." 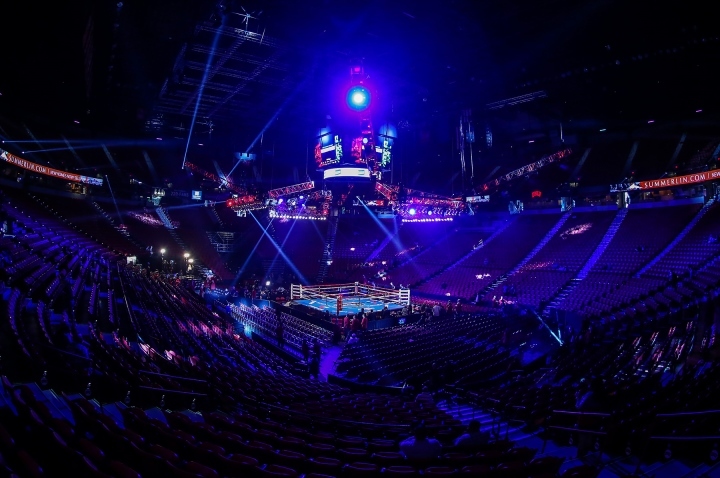 Promoted by Ringstar Sports in association with World Boxing Super Series, tickets for the live event are on sale now and are available at Ticketmaster.com. Tickets are also available to purchase at the Prudential Center box office. Featured bouts on October 21 will see Polish contender Mateusz Masternak facing once-beaten Stivens Bujaj in a WBSS cruiserweight reserve match and unbeaten Polish contender Maciej Sulecki taking on former title challenger Jack Culcay. [QUOTE=Mammoth;18126638]8 years is not long. Why did Lebedev retain his title? [/QUOTE] he had two. only one of em was up for grabs. 8 years is not long. Why did Lebedev retain his title?